A loan of $1,225 helped to buy more milk, tea, juice, etc. to sell to her community. Providence is a 38-year-old married mother with three children. She has operated a local soft drink business for the past four years. She works everyday from 6 a.m. until 8 p.m. While the work is tough and the hours are long, she is committed to her business so that her family may prosper. 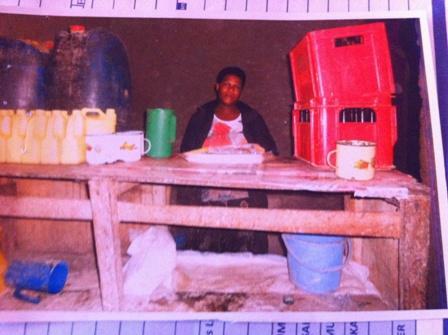 She has requested a Kiva loan via VisionFund Rwanda Company to buy more milk, tea, juice, etc. to sell in her business. With this loan, she will earn more profits which will allow her to keep reinvesting for better financial stability, as well as pay her children's school fees and medical insurance. Over the next five years, as her business continues to grow, she hopes to earn enough money to expand her business, pay for insurance and save for her future as well.